School holiday is here again! This means additional outings and probably overseas holidays with your family. 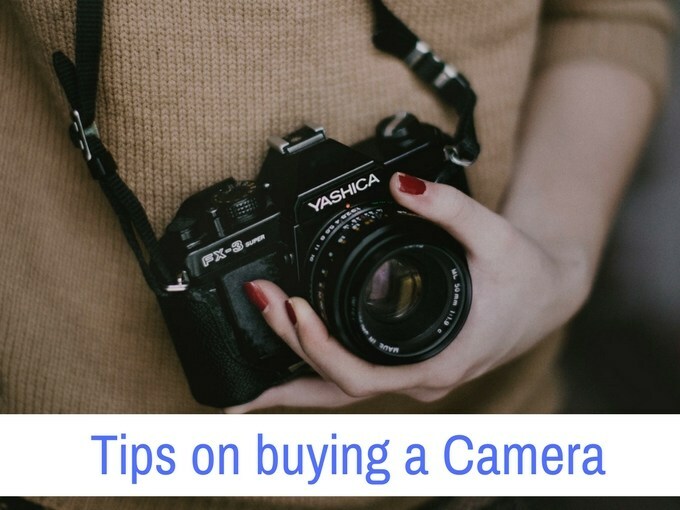 Are you thinking of investing in a new camera or simply replacing your existing camera yet unsure how to select one given that we are living in the era where we are spoilt for choices when come to camera. I own Nikon DSLRs (“Nikon”) and an Olympus m43 PEN system camera (“Olympus”) with an assorted range of lenses. Unfortunately, ever since my twins came along, my Nikon DSLR spends 90% of its time sitting in my dry cabinet being the heaviest and most bulky among the cameras I have, and only gets the occasional use at home when I wanted to shoot some cinematic-like videos. My Olympus sees more light, probably 30% of my kids photos, and sometimes gets brought out when we are off to somewhere special like the zoo or celebrating an anniversary or birthdays. Whereas, my phone camera is the one that is always with me, capturing most of the best moments. Smartphone cameras nowadays are great, especially for functionality such as instant photo or video sharing through social media and availability of powerful applications (“apps”) to add cute caption or make your photos into a comic strip. Smartphone has brought about a new wave of “mobile photographers”. Notwithstanding, I still feel that image quality and focusing speed are being compromised when using my smartphone camera as compared to my aforesaid photography gears. So when choosing a dedicated camera to record down the growing stages of our beloved children, we just could not convince ourselves to settle with a smartphone camera. Yet, we are simply daunted by the heavy-weight DSLR. I can recall countless occasions when my kids did something cute and I wanted to capture it down, my first instinct would be to grab the closest camera. Most of the time ending up using my Smartphone since this is the camera I have with me most. This is especially so when we are out, as most parents may agreed, outings with kids are almost guaranteed the inclusion of a long list of “standard items”, so you can imagine the thought of adding any more bulk and weight from things such as a camera. Now, digital camera technologies are improving constantly. Cameras are getting smaller and smaller and image quality has improved vastly. So does that mean that our problem can be easily solved by just getting a compact point-and-shoot(P&S) camera? For some parents, this may be the answer, but in my opinion, the differences between the Smartphone and many normal compact P&S are mostly not staggering. So if I were to buy a dedicated camera to use in place of my Smartphone, why settle for a small improvement and not go for much more differentiation? Does this means that I can eliminate compact P&S camera category altogether? Well, it turns out that camera manufacturers are also aware of their need to differentiate themselves from camera phones and have introduced a slew of high end P&S cameras that offers fantastic image quality in an amazingly small package. Albeit usually at a higher cost. One such camera is the Sony RX100 Mark III. It comes with a larger One Inch Exmor CMOS sensor, Carl Zeiss max F1.8 aperture lens with focal length of 24-70mm (35mm equivalent). Top that up with a 180 deg tilting screen for self portraits and an retractable EVF! All that in an amazingly compact body design that can fit in my pants pocket. And I do not wear insanely large pants. Taking kids is sometimes akin to taking sports photography. They may not move as fast physically, but they are often very unpredictable and not the most cooperative models to work with. Imagine yourself making funny faces and weird sounds tirelessly to your child, wanting to capture that very moment your child smile or when they look at you or into the camera. The last thing you want is to miss that moment because your camera is too slow to focus. Such scenarios also worsens when lighting conditions are not optimal. This is one area where higher end cameras have better advantages, as they usually comes with faster focusing systems. But the real question perhaps is how to tell if the focusing is fast enough for our usage? Personally, I will definitely test the camera in the shop first to have a feel of the focusing speed. It will be best if you can bring your kids along and try to take photos of them with the camera and see for yourself if it is fast enough. Else, one way I use to judge is to focus the camera at an object far away and then refocus on another object near or next to you. From this test, the camera is made to focus between two extreme points and this give a good feel for the focusing speed. The only thing to note in this test is that when choosing a nearby subject, make sure it is not too close as all cameras has a minimal focal length and will not focus in distance shorter or sometimes have problem when you try to focus around the minimal focal distance. That said, do check with the sales people on this specification as this may also be a point to consider for people who likes to shoot up close. Focusing speed is one reason why I like my Olympus PEN cameras. Not only are they razing fast, it has a touch screen to let me select focus point quickly without recomposing my frame. This is definitely a plus when comes to photographing toddlers who will not sit still for me to compose my photo. Now choosing our point of focus is one way to take a photography but with today’s face recognition technology, face detection focusing is also a very welcome tool for many photographers. The ability to track your toddlers face and adjust focus accordingly also helps make photo taking more straight forward. Face detection is especially important when taking videos of our toddlers moving around. But do note that not all cameras are equal when it comes to face detection and focus tracking ability. Some just performs it better than the others. So do try it out at your friendly camera store. A selfie is a self-portrait photograph, typically taken with a hand-held digital camera or camera phone.…. Most selfies are taken with a camera held at arm’s length or pointed at a mirror, rather than by using a self-timer. Now you might be thinking selfie is a way of taking a photograph and so won’t any camera do the job? Well, yes and no. Yes most if not all cameras can be used for selfies and no because some cameras these days are equipped with features to make selfie taking more than just flipping the camera towards yourself and making wild estimates of getting your headshot photograph. One very useful feature such as 180 articulating LCD screen allows you to turn the camera around towards you and still be able to see the picture frame and compose accordingly. Without a tripod or some convenient fixtures nearby to place our cameras, selfies are the fastest means of accomplishing a family self portrait in seconds and with the ability to see what you are taking, takes the guess work out of selfie taking, making it more efficient and fun! So Form Factor, Focusing Speed and Selfie-ability are the top 3 features for me to decide on my next camera. But one last thing I like to add is a feature which I considered very useful for savvy and busy parents such as ourselves. That is connectivity through Wifi. Nowadays many cameras are equipped with WIFI ability to allow wireless photo transfer to our smartphones or computers. This allows for seamless workflow and photo-sharing with no wires, no card readers and no computers. Now there are also some storage cards which comes with Wifi transfer capabilities but do note that not all cameras support these cards. And frankly, I would still prefer Wifi to be build into the camera. Besides better integration and probably faster speed, cameras with WIFI capability usually also comes with another extra perk – which is the ability to use your smartphone, via customs app, to be used as a remote control for your camera. This feature is most useful when you place your camera on a tripod for a group photo. Now you can frame your picture, run to your ground and stay right at your spot, take multiple shots and adjust the camera settings if required, all through the remote control app in your smartphone. Now this wraps up the 4 key feature I use to find my next camera to photograph my kids. I hope you find them useful in you camera hunt. But as the saying goes: “The Best Camera is the one that’s with you”. So do not forget to continue taking many many photos of your kids with your existing camera too!